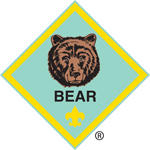 Please note: The content on this page has been abriviated from the Boy Scouts of America Advancement Trail for Cub Scouts page. You can access the page from this link. 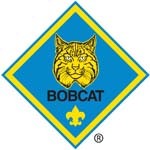 When a child joins Cub Scouting after kindergarten the first badge they earn is the Bobcat badge. This is an introduction to the Cub Scout program. If a child joins in kindergarten they start work on the Lion badge first. After Lions they work on the Bobcat badge, before working towards their Tiger badge in first grade. On the advancement trail, a Cub Scout progresses towards a badge of rank based on their grade. They need not have earned the previous rank in order to earn the next. 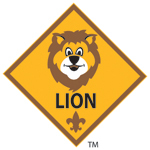 Each of the ranks in Cub Scouting has its own requirements are are age appropriate so earning a rank below a Cub Scout’s current grade is not permitted. As a Cub Scout advances through the ranks, the requirements get more challenging, to match the new skills and abilities they have learned. 2. With your parent or guardian, complete the exercises in the pamphlet How to Protect Your Children From Child Abuse: A Parent’s Guide. 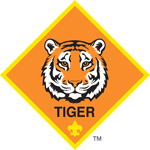 Although participation with an adult partner is required for all Tiger awards, recognition items are for the Scouts only. 3. With your parent, guardian, or other caring adult, complete the exercises in the pamphlet How to Protect Your Children From Child Abuse: A Parent’s Guide. 1. Complete each of the six required adventures. 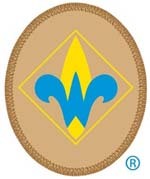 Scouts who are in Cub Scouts in fourth grade must complete the Webelos rank before working towards their Arrow of Light. 2. Complete each of the five required adventures. 4. With your parent, guardian, or other caring adult, complete the exercises in the pamphlet How to Protect Your Children From Child Abuse: A Parent’s Guide. 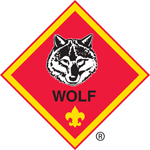 If a Cub Scout has completed the Webelos rank they may begin to work on the Arrow of Light. The Arrow of Light rank is earned by completing five adventures as described below.